We’ve got good news for those who’ve been following the whole sorry saga of the collapse of Toys R Us – there will be no store closures or job losses (for now) in Germany, Austria, or Switzerland. Toys R Us stores there are now under new management, which, as previously reported, is Ireland-based Smyths Toys, who also have many stores in Britain, and stand out as a family-owned business which is much like how Toys R Us was in its glory days. According to reports, this purchase means Smyths will add 93 European Toys R Us stores to its existing portfolio of 110 stores in Ireland and Britain. View details on this story on the Star Tribune and Reuters. You shut your mouth! How can you say I go about things the wrong way? According to Smyths, all stores, employees and the management are going to be retained. No idea what Smyths is intending for payment, but at least those people now have a future. – Smthys itself is a profitable company. Within thirty years, Irish brothers Tony, Pádraig, Liam und Tom Smyth have turned what once started out as a small kiosk in Claremorris, West Ireland, into a multinational corporation that is market leader in both Ireland and the UK. – They're taking over a fully established infrastructure. Toys"R"Us expanded to Germany around the same time Smthys started in Ireland. The product range doesn't differ much between countries. Smyths doesn't need to reinvent itself for the German language markets, since trade relationships with companies like Mattel and Hasbro are already established. – According to documents that became public as part of the Toys"R"Us bankruptcy case, Toys"R"Us Central Europe has been very profitable for the past few years, which means Smyths is taking over a company that is performing well rather than a candidate for restructuring. – The main problem is that the brand "Smyths" is completely unknown outside the British Isles. As a consequence, the new owners intend to carry through this year's Christmas season under the old "Toys"R"Us" branding. Following that, the stores will be rebranded as "Smyths". When the Smthys brothers expanded to the United Kingdom, the brand was completely unknown there as well, most people didn't even knew how to pronunce "Smyths". Eight years later, Smyths was market leader in the UK. Still, since toys are available at many non-specialized stores these days, it will take a lot of effort (and investments) to convince customers to shop at a completely unknown store with an odd name. Some more factoids: Investment firm Lazard contacted over 90 potential buyers for a takover of operations in central Europe. In the end, the Smyths brothers were the only bidders. The takeover was code-named "Project Elf". 6. The Debtors seek through this Motion approval of certain actions and agreements relating to the sale of their Central European Business. More specifically, the Seller seeks to sell its operations in Germany, Austria, and Switzerland to the Purchaser, an affiliate of Smyths Toys Superstores (“Smyths Toys”), which currently operates 110 toy stores and online shops in Ireland and Great Britain. If consummated, the Central European Sale will provide for a baseline purchase price of EUR 64.4 million (approximately $79.3 million) and could yield up to approximately EUR 79 million (approximately $97.7 million), subject to certain adjustments and escrows and meeting certain conditions. The sale of the Central European Business is the product of extensive marketing efforts, as well as extensive, arm’s-length negotiations (described in detail in Section III below). 7. Importantly, the Central European Business is being sold on a going-concern basis. Thus, employees, customers, and vendors will all benefit from the proposed transaction. The sale of Toys Austria is subject to Austrian merger review regulations, and as such, may not close until a later time. Nonetheless, the Debtors believe it is appropriate to seek and obtain all relief by this Motion. However, if the Debtors do not obtain approval to authorize the sale of Toys Austria at this time, the sale of the other Central European Business should not be impacted. In addition, it sounds like Fairfax is the only bidder, so some have dropped out? Who are they? An acquisitions and holdings company who've been in property and insurance mainly. Say what you will about the Canadian insurance industry (I'm sure I could find a few choice words), but the firm, and its CEO (Prem Watsa) have made a lot of money and made what I would consider sound business choices (they also owned/own? a significant chunk of Blackberry and their debt, so they likely have some restructuring experience, as well as in Overstock.com). I hope the company hasnt gone from one capital firm lionpit to another, but this could also be a stable, smart owner for rebuilding. Sorry, maybe this isn't immediately obvious, but will they be converted to Smyth's or does this purchase include the rights to Toys R Us branding in those European countries? It should perhaps be noted that Smyth's can convert those European TRUs (as looks now to be case) AND purchase the rights to the TRU branding in those countries. These two items are not mutually exclusive. Anyone know the current situation for Canadian branches? 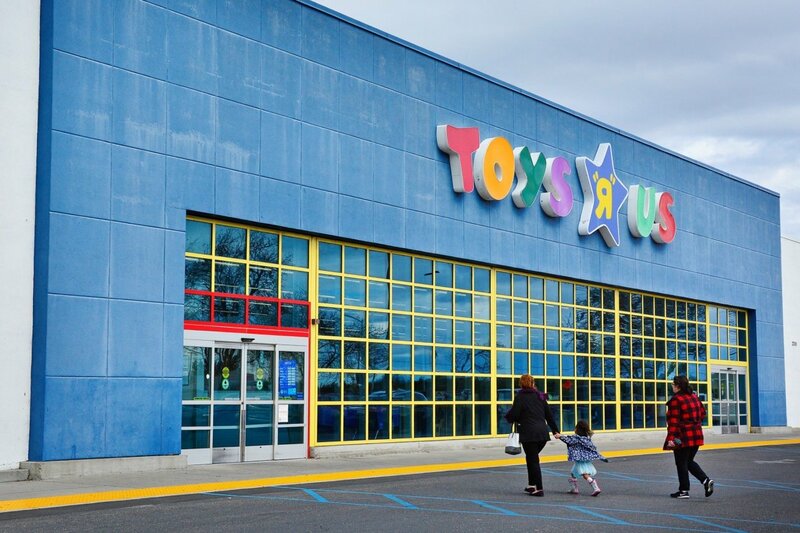 In addition, Toronto-based investment firm Fairfax Financial Holdings has officially placed a US$233-million bid for Toys “R” Us Canada ahead of an auction for the retailer’s Canadian assets. The auction will be held today at the offices of Kirkland & Ellis in New York, and Toys “R” Us expects to seek approval for the sale at a hearing scheduled with the Bankruptcy Court tomorrow. The agreement would also see Fairfax repay TRU’s outstanding indebtedness under the Superpriority Secured Debtor-in-Possession Credit Agreement on or before closing. Update 2: Apparently Smyths paid almost 80 million Euros (nearly 100 million USD) for TRU. I doubt the same thing will happen in the UK. Smyths already have an established presence here and some TRU branches have already closed. Uncertain, though there are hints in Smyths' statements that they intend to establish their own brand in the German-speaking countries. Jobs likely wont be saved, Smyths will likely start at the store management level and work their way down replacing people. While they may very well replace upper management, I sincerely doubt they're going to fire a bunch of store-level staff just to hire new, similarly experienced people. Wasn't the UK administration unrelated to the US business though? It sounds like the UK business was in really bad shape. People are buying up these other international groups because they are actually profitable. So basically Toysrus is just done in the states and the UK. I like Smyths and have bought many a TF from them however they always seemed to lack the wide selection TRU have, but they tended to have more of the latest. My biggest gripe is that they had Titan Masters Misfire and Slugslinger listed for release last year and then bailed on them. I think they also had Overlord listed too but bailed.